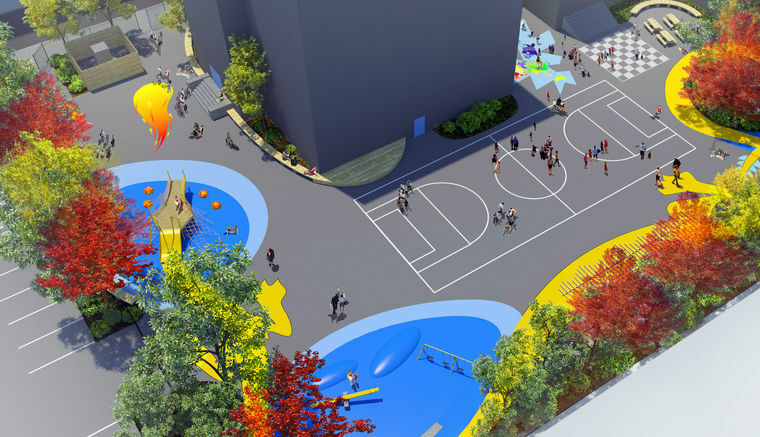 Dragon Green Park—an imaginative design for a South Philadelphia green schoolyard inspired by the school’s mascot, a bright yellow dragon—is the winner of the Collaborative’s 2016 Community Design Award. Southwark Elementary School was also selected as one of nine community schools. These schools will receive extra resources to serve as hubs for social, health, and other services in their neighborhoods. The school’s new community liaison, Beth Dougherty of East Passyunk Crossing Civic Association, was instrumental in the Collaborative’s design and community engagement process for Dragon Green Park. Posted in Board of Directors, education.